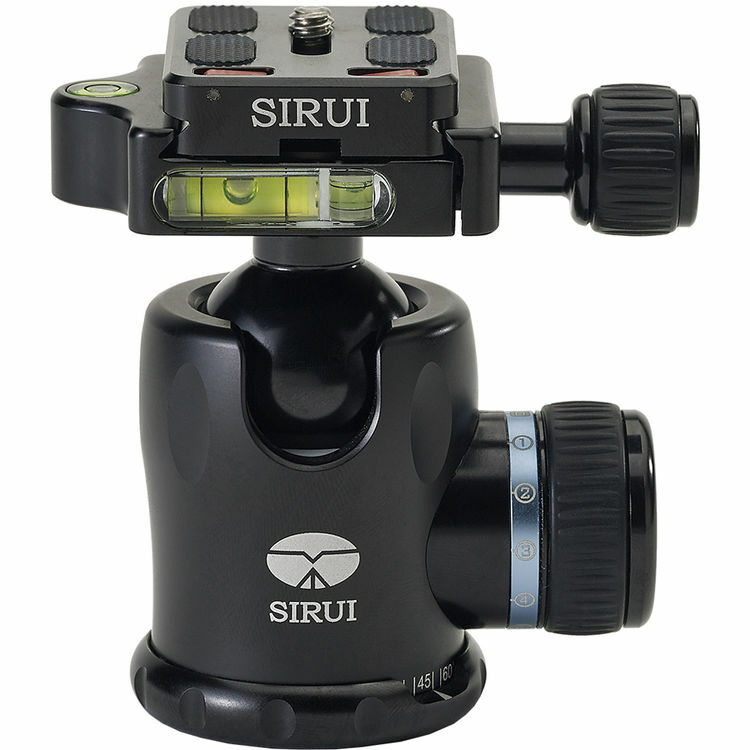 The Sirui K-10x Ball Head is an extremely sturdy head with control knobs for pan, tilt, and tension, plus an Arca-style clamp for the included quick-release plate. 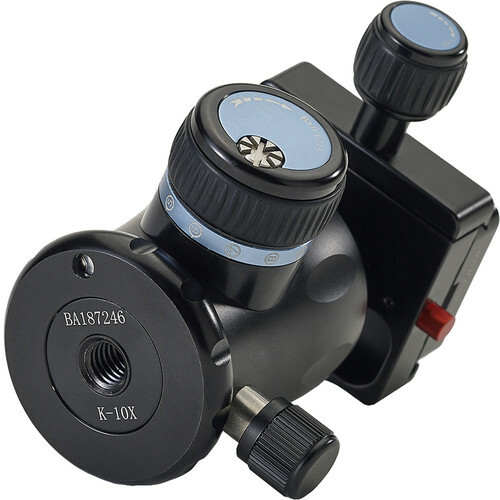 The pan, tilt, and quick-release knobs are all separate, while the tension knob is integrated into the ball-locking (tilt) knob. 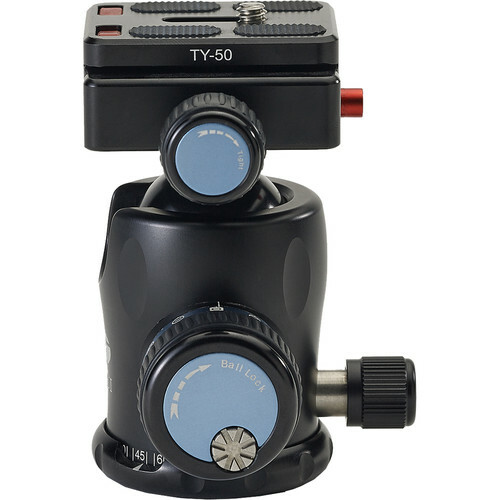 The head tilts 90° for portrait orientation, and the quick-release plate features two pop-up pins that prevent camera twist when it’s tilted 90°. There’s also a video pin on the plate to keep camcorders from twisting. The interior ball locking of the K-10x head has a sphere tolerance of 0.01mm, and it’s equipped with an orientation-memory locking dial. 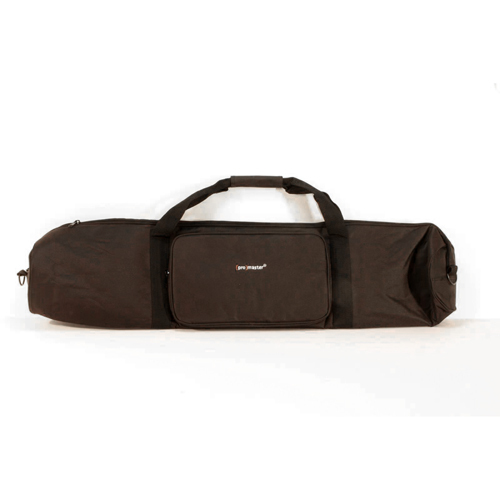 This helps yield a high load capacity of 44 lb. 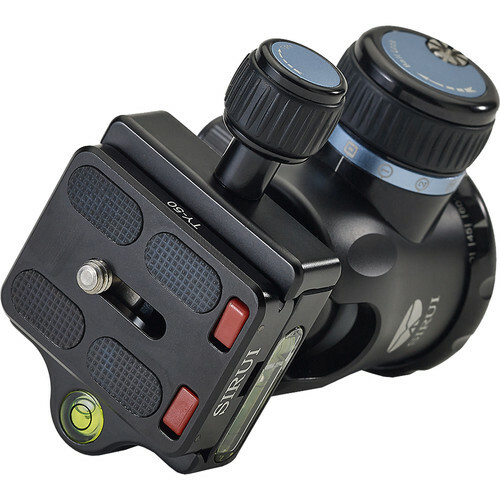 The quick-release clamp features a secondary release button that prevents any inadvertent disengagement of the camera/plate from the clamp, thereby adding to the head’s overall security & stability. 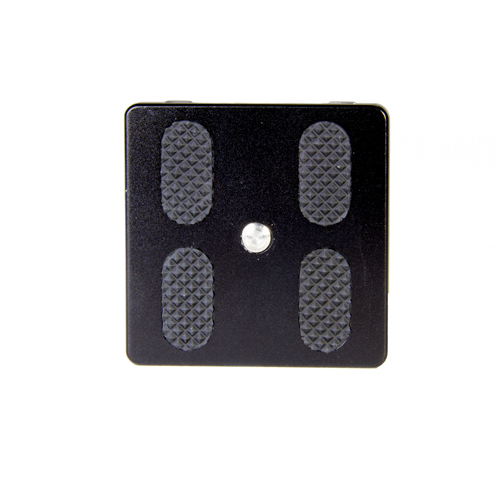 The Arca-style platform conforms to standard sizes, so you can use compatible plates from other manufacturers. 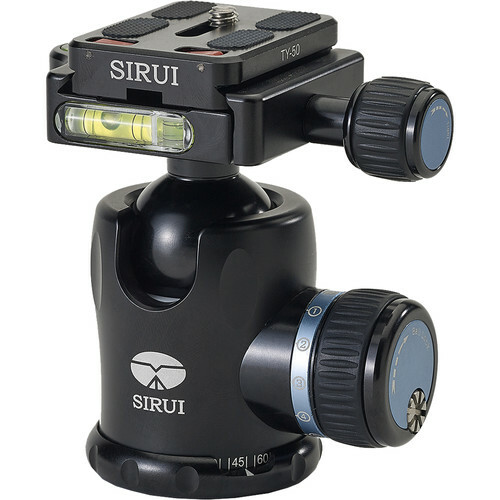 The three control knobs allow a photographer to exercise extremely fine control over the orientation of the camera, whether it’s a DSLR, 35mm, medium-format camera, or even a camcorder. 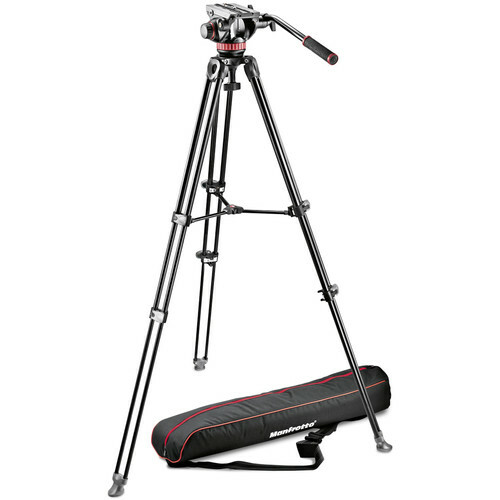 Pan, for instance, can be adjusted while the tilt stays locked, enabling precise movement that’s measurable – there are degree markers at the panning base for panoramic photography. 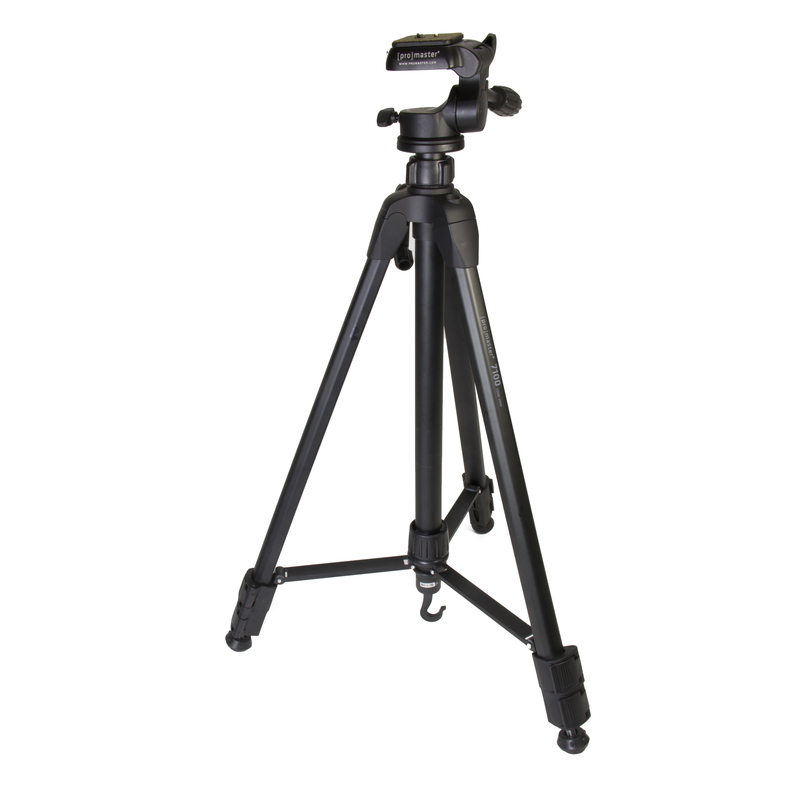 The K-10x is CNC-machined from an aircraft-grade aluminum alloy and anodized with an oxidation treatment that ensures a durable, high-quality finish.